Pit Barrel Cooker Canada - FREE RUBS & SHIPPING! 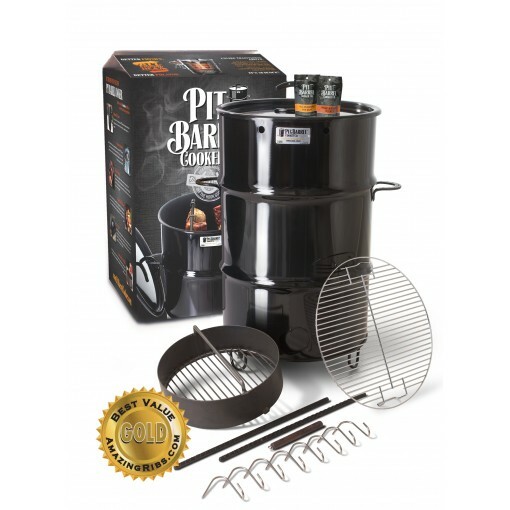 The Pit Barrel Cooker. Includes 5oz Taster Rub Pack! Save $50 by Picking up in Vaughan! For a limited time includes a 5oz bag of the All Purpose Pit Rub and a 5oz bag of the Beef and Game Pit Rub! Pick up from Vaughan and save $50! 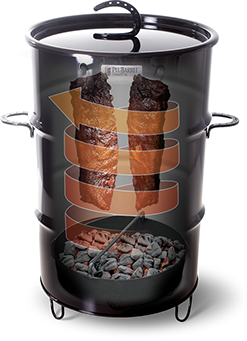 Unlike traditional grills which cook food from a single, direct heat source, the cylindrical shape of the Pit Barrel® and “Hook-and-Hang” method place the food in the center of the action, heating the meat from all sides at once and producing consistently great-tasting, perfectly cooked food every time. 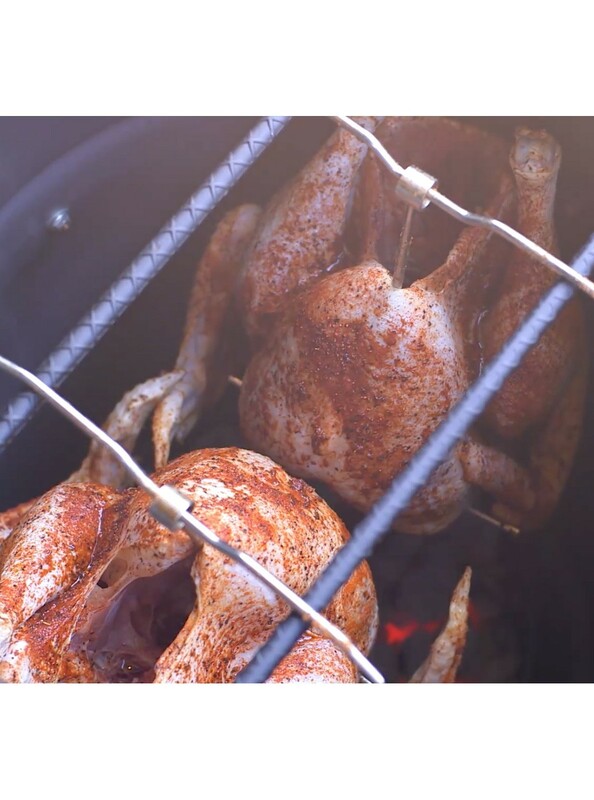 "Hanging the meat vertically reduces the radiative heating contribution significantly, for the same reason turning your face away from the sun is cooling, or holding your palm perpendicular to the grill doesn’t feel so hot. 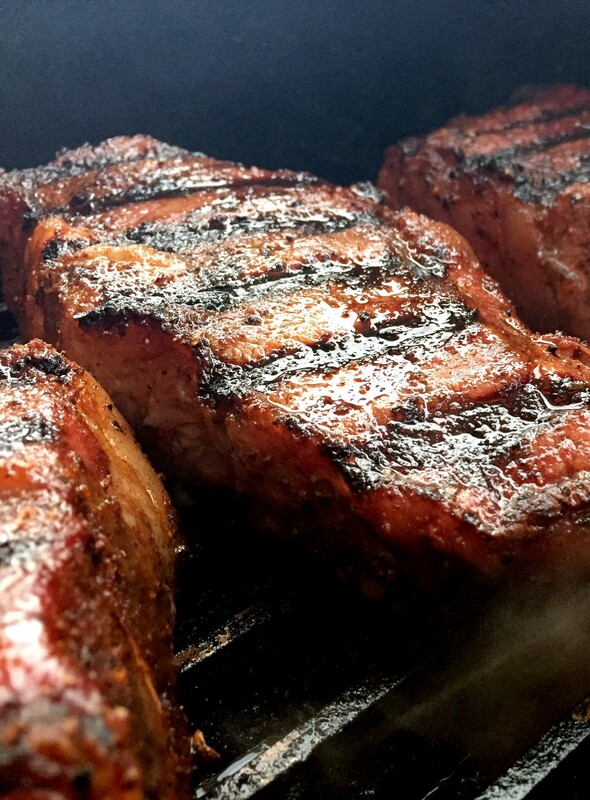 Plus, dripping juices radiatively cool the bottom of the meat." 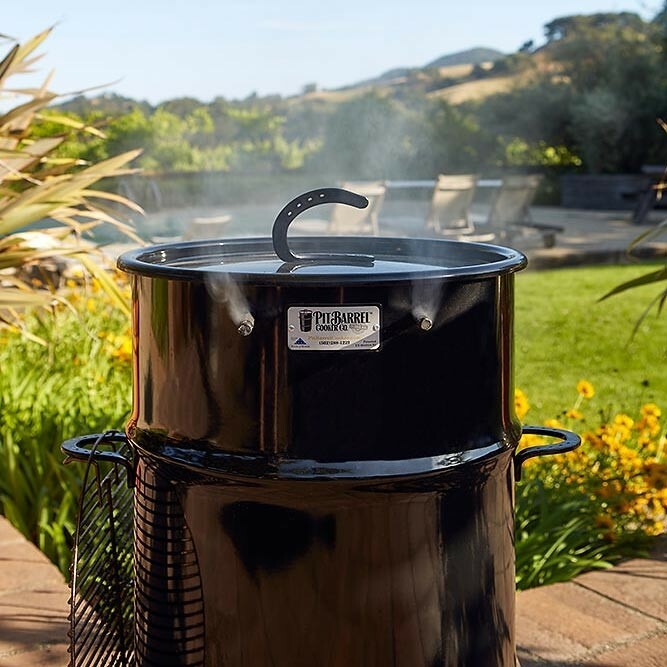 In addition to cooling the bottom of the meat, the dripping juices fall onto the hot coals, producing a smoke fog which fills the barrel and envelops the meat, infusing it with even more natural flavor. Of course, this is not to say that grilling on the included grate won’t yield equally impressive results. 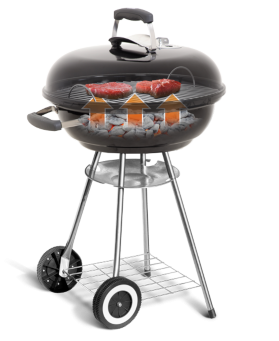 Similarly to hanging the meat, the greater distance between the heat source and the grate serves to reduce “hot spots” and cooks the meat more evenly on the bottom and the top. 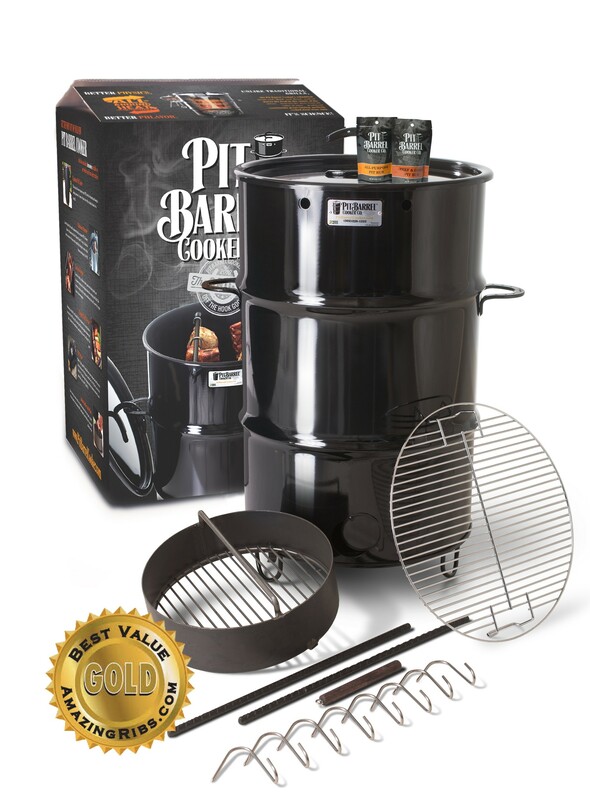 Experience why our customers give Pit Barrel® consistently rave reviews and have made the PBC the #1 barrel cooker on the market. 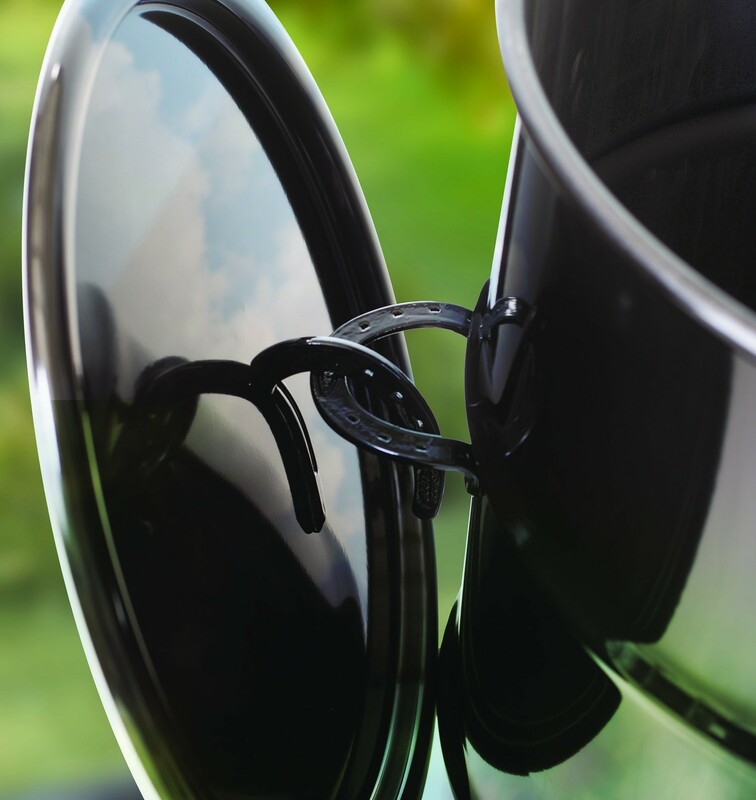 From lighting to troubleshooting, and maintenance, this is where you’ll find general tips and tricks to getting the most from your Pit Barrel.